It seems like the first airline casualty of 2019 is Joon….well sort of. I remember when I first heard about Joon, I thought it was going to be a low-cost carrier. But that didn’t make sense as Air France-KLM had Transavia. 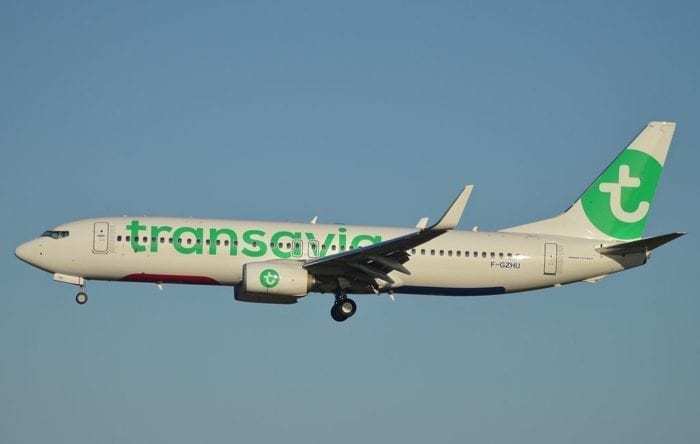 Air France-KLM has a low-cost brand in the form of Transavia. After doing some reading, I discovered that Joon was a carrier designed to cater to millennials. Like most people, I was still confused as to what exactly Joon was. Joon initially commenced routes from Paris to Barcelona, Berlin, Lisbon, and Porto. This started to make sense as those destinations were hotspots of tourism– especially for millennials. Then, Joon added Mumbai, Cairo, Cape Town, Istanbul, Rome, among other destinations. This is where Joon started to unravel. Mumbai and Istanbul are important economic centers in India and Turkey, respectively. As such, there is a high number of business travelers who are less price-sensitive. That being said, Istanbul is the main hub for Turkish Airlines which may attract more business passengers than Air France would. But Mumbai is a different story. 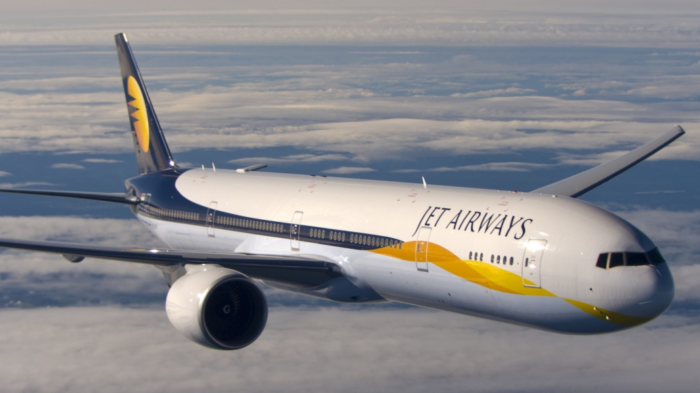 Mumbai is a hub for codeshare partner Jet Airways, which expands Air France’s connectivity into India. Furthermore, KLM has not been having any problem filling up their flights to India. Air France even had a monopoly on the route (excluding cooperating partner, Jet Airway’s flight to Paris). Air France partner, Jet Airways, gave Air France access to connecting passengers. Given the strong demand for travel to India, this marked the start of when Joon lost track of what the brand was meant to be. Joon really didn’t cut down many costs for Air France. The pilots were on the same pay scale and the airline flew inefficient A340s on their long-haul routes. With that, Joon wasn’t able to offer much of a competitive price on routes and still turn a decent profit shareholders would be proud of. Joon also continued to avoid targeting the kinds of passengers they were meant for. 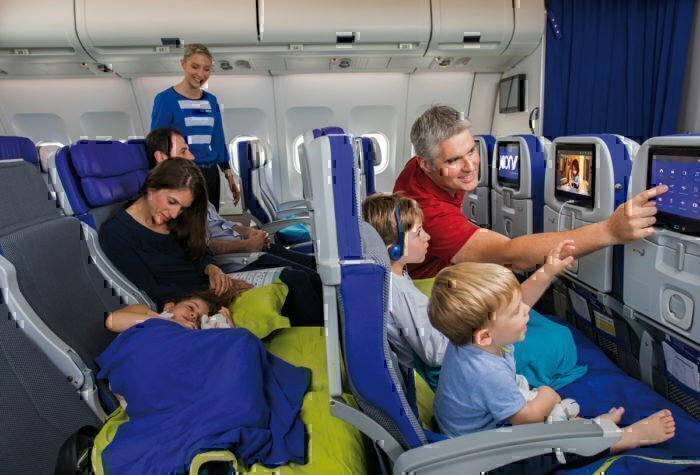 The latest string of blunders was the addition of couch-style seating in economy class. Reasonably, I wouldn’t say anyone pictured above is a millennial. This seems more like a product targeted at families….which is not what Air France’s initial advertising suggested. Joon in the current form is not sustainable at all. 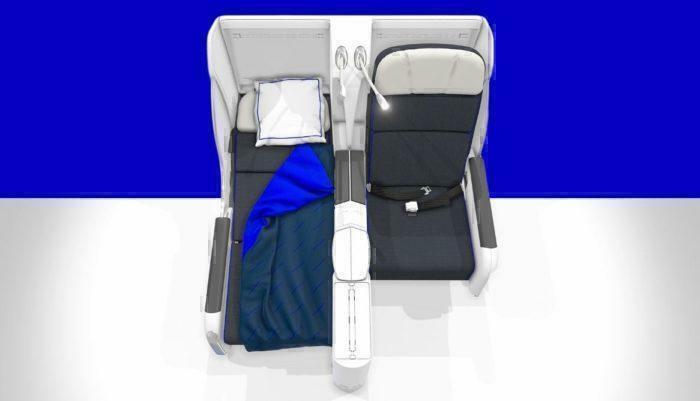 Air France really lost the goal they had in mind for the airline. That being said, Joon, in theory, could work. The cabin actually looks quite “hip” and has modern touches that would be appealing to younger generations. The initial destinations were also just right as they are hotspots for young people to vacation and had intense competition in the sky. Should Joon ever be revived, they would need a clear vision of both how and where they would target millennials. They would also need to better distinguish Joon from Air France. The key way to achieving that would be through cutting costs by having a more junior flight crew. As some airlines go to incredible lengths to attract millennials, we’re definitely glad Joon isn’t doing something outrageous and is, instead, being folded back into Air France. 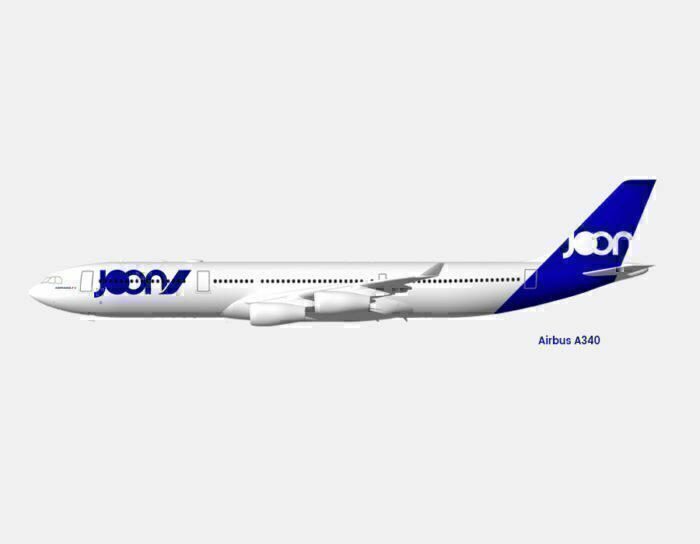 We’d love to see a new, focused Joon one day that had a real vision for their place in the Air France-KLM brand, but for now, Air France needs to work on reaching the same level as KLM. What are your thoughts on Joon? Let us know in the comments!